If you’ve always wanted to write a blog, set up a Twitter account or become part of Facebook but don’t have the time or desire to create constant new content, there’s an easy solution… hire a ghost writer. I have a degree in Communication Arts from Loyola Marymount University. I am a published author in both fiction and non-fiction. I have written scripts, award winning essays, articles, blog posts, and lots of copy for ads, brochures, newsletters, sales letters and more. I can also edit your copy, check for grammar and spelling and make it SEO friendly. Call 310-791-5803 for quotes and more information. For samples of my style just read through the articles on this website. I’m also a ghost writer for Lucy, the Chi. Check out her site too. If you want to self publish a book, you must have someone proof and edit that book. I am your guy. For over 35 years I have been writing and editing copy for clients and can help you too. It’s all about content creation. It’s important to keep up with your blog on a regular basis. 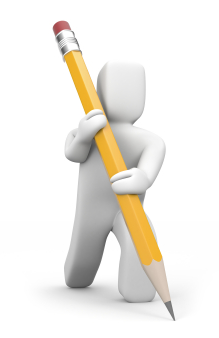 If you don’t have the time or desire to write it yourself, why not hire someone to do it for you? Adding regular content makes your blog relevant and stand out. It’s also great for search engine optimization. Get your name out there. Send links to interesting sites and blogs. Give news updates on your business or industry. Comment on life. Let your fans know what you have been up to. Promote your latest products or services. Give out relevant information that’s both fascinating and newsworthy. Start a contest. Use your own name or byline and have someone else do the writing. You can give an outline and touch on important points to be covered in whatever project you need to produce. If you have a story you want formatted as a screenplay, give me a call. Need a commercial written? Hire a scriptwriter. Did you know Chuck, the Juice Man, majored in writing for Film and TV at Loyola Marymount University? Interesting. Scriptwriting is a specialty field of writing. It is made up of visual descriptions and instructions, and snappy dialog. Usually there’s a riveting plot too. If you need an ad written, you’ve come to the right place. Google AdWords Pay Per Click (PPC), Essays, White Papers, Sales Letters, Press Releases, Brochure Copy, Copy Editing, Ad headlines and copy, e-books, etc. Writing is an art. Make sure you hire the (w)right artist for the job.